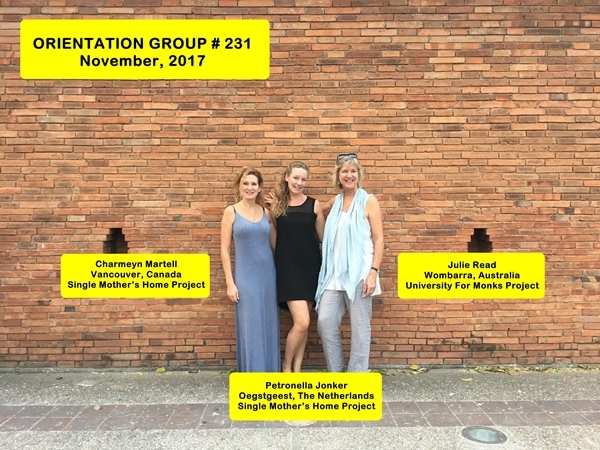 Presenting Chiang Mai Volunteer Group #231. Three ladies from Canada, The Netherlands and Australia. The volunteers in this group are participating in our Single Mother’s Home and International University for Monks Volunteer Projects. For more information about our volunteer and intern opportunities, please visit our projects page.